Home remodeling can be done for numerous reasons, but there are a few important reasons why homeowners in Cornelius are putting money aside to renovate their homes. One of the most significant reasons people think about remodeling their home is so they make more money at the time of sale. The current trend is for larger remodeling budgets as homeowners see the opportunity to increase their return on investment when they sell their home. It shouldn’t be surprising that homes with out-of-date bath and kitchens are much more difficult to sell and can remain on the market for a very long time. Nonetheless a higher asking price is not the only reason why a homeowner would choose to renovate their home. A number of homeowners today are choosing to remodel their existing homes rather than sell them off to buy better homes. Though the real estate market has recovered for the most part, some of the effects of the recession are still being felt. However, remaining in your present home also has its advantages, particularly the fact that you avoid wasting time that you would have spent hunting for a new home. When you upgrade your home you get to make it just the way you want instead of trying to come across what you want some place else. It truly is a much less nerve-racking situation, and tends to lead to more contentment. Sometimes, remodeling your home has to be done, particularly when you need to make more room for your growing family. You may also have to enlarge your closet space to increase your storage area or make more practical use of the available space. But then, once your kids move out, you may choose to repurpose some of the rooms in your home. 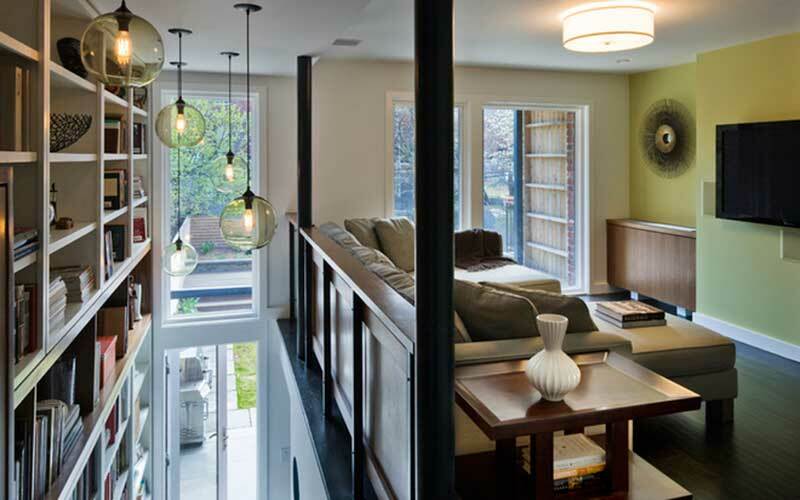 With all the rebates and tax incentives, eco-friendly remodeling is also a new trend. It allows you to increase the value of your home while saving money on energy bills and reducing your impact on your environment. You love your home and neighborhood. For some reason or another you just need more room, and more efficient use of space. This is where a home add-on, such as adding a garage or another bedroom, could enable you to happily stay in your current home while increasing its market value. By incorporating your ideas with our expertise and innovation, we will build an end-product that will satisfy your functional needs and your cosmetic goals, too. We guarantee each client the ultimate level of quality, integrity, and commitment available in the residential design-build industry today. We have rigorous standards of professionalism, and accept nothing but the best from our pros. We will handle every aspect of your remodeling project from start to finish. Worn cabinets, dated appliances and cracked countertops are all indicators that you need to think about remodeling your kitchen, but there are several other reasons to update your kitchen space. One major consideration, for instance, is whether you are making the most productive use of your space. While a beautiful kitchen is nice, it should also be one of the most practical rooms in the home. If you wish to accomplish this you have to take many different facets into consideration. Lighting is another essential detail in any kitchen. If you are not getting enough light you might want to consider moving the windows to allow more direct sunlight. Small children or a growing family in general can increase the needs of the kitchen and lead to essential renovation. Sometimes an old kitchen can even be a safety concern for small children if it included outdated designs and older appliances. If you want to do more entertaining in your home you may come to realize that you need to update to a more open kitchen design to allow greater social interaction. On the other hand, as you grow older you may decide to remodel your kitchen to increase its safety. According to realtors, the kitchen holds the greatest opportunity for swaying home buying decisions among prospective buyers. This suggests that upgrading your kitchen and making sure it is up to date with the latest features could be the difference between a quick sale and a home that just sits on the market. If you plan to remodel your kitchen, it is a good idea to make a checklist of all the minor and major problems as well as the features you would like to add. If you can’t change everything you want to, it is important to prioritize and determine what among your wants and needs is most important. Since many homeowners are remaining in their homes longer, bathroom remodeling is becoming more prevalent simply because problems will arise over time that ultimately need repairing. Looking at the same dated look, and broken tiles first thing in the morning every day can eventually get to anyone. In addition, broken fixtures and anything else that leaks water can result in bigger problems such as mold, and that is something you certainly don’t want to fix. Prospective buyers place a lot of importance on a newly designed bathroom. Just like with kitchens, remodeling your bathroom can be viewed as an investment that will help your home sell more quickly at a much higher price. However, a number of people today redesign their bathrooms simply to change its current appearance or create their own oasis. When you want to relax from a hectic day a custom built bath tub or shower can have a huge impact on your ability to relax. The term unfinished basement has become synonymous with squandered space. If you are fortunate enough to have a basement you really should try to make the most of it. Basement finishing actually ranks right up there with bathroom and kitchen renovating in increasing your home’s market value in addition to making it more enticing to prospective buyers. 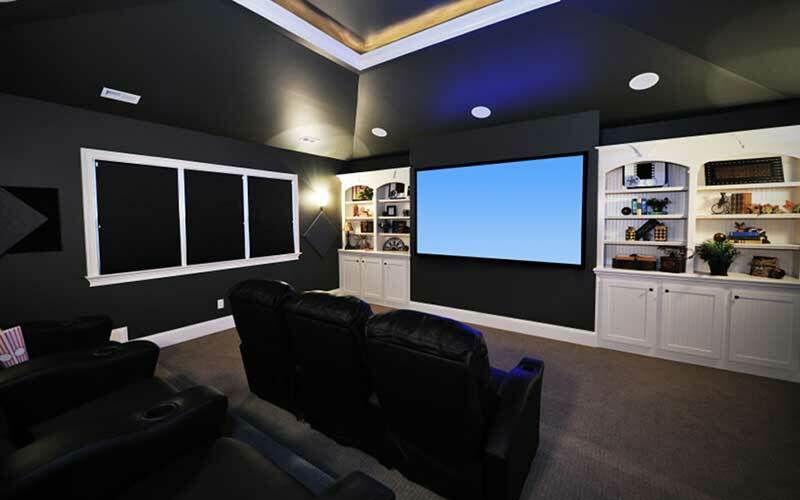 The possible functional and creative uses of your basement are infinite, and in comparison to other traditional spaces in your home, the basement offers the greatest usage options and can even be utilized as a multi-purpose space. There really is no justification for letting your basement go unused. The reason most people leave their basement unfinished is that the process can be extremely difficult. When you redesign a basement you have to take into consideration electrical, plumbing, HVAC, drywall installation, and even flooring. This is why, when it comes to basement renovation as with all major remodeling projects that you should only work with established remodeling contractors. Despite the fact that it can be quite challenging, properly using the space can change the entire feel of your home, increase its value, and improve your quality of life. When redesigning your bathroom or kitchen, you should consider the components that will give you the best value for your investment. With many different styles, materials and colors, countertops are one such item that can make a huge impact on the overall look of your home. 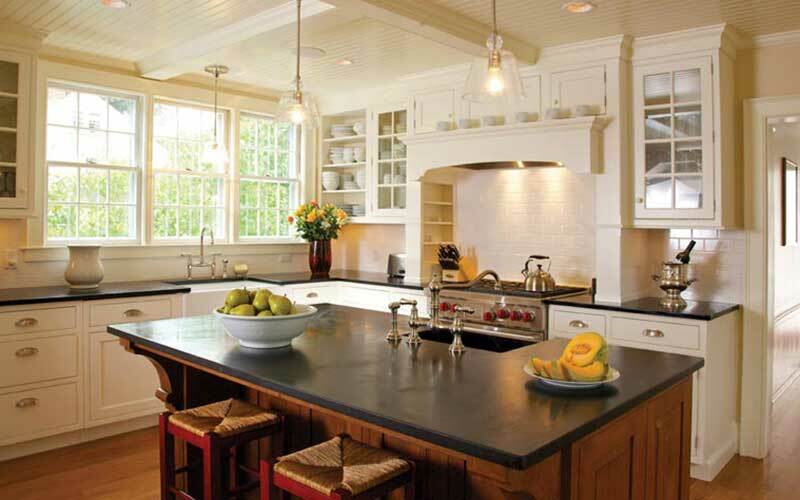 Countertops are available in a wide variety of choices. 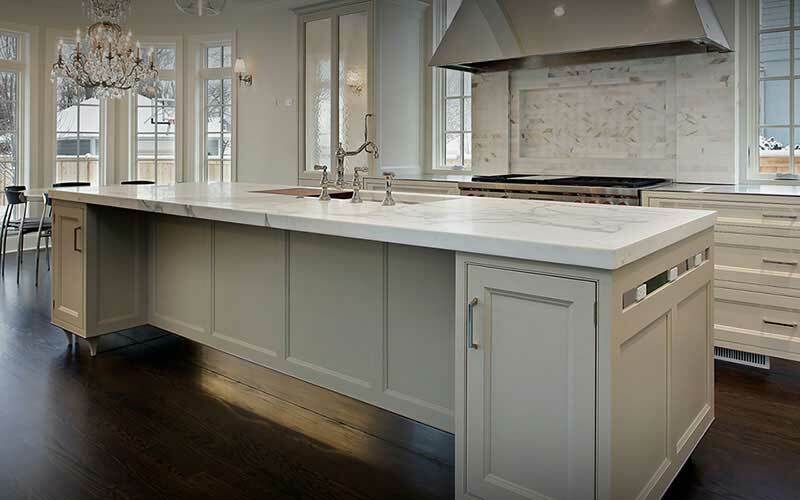 In recent years the more popular choices include glass, granite, wood, butcher block, cambria, marble, concrete, corian, soapstone, and laminate. There are multiple aspects such as maintenance, and extended life that can help you pick out which countertop choices are ideal for you. You also need to make sure that the countertop you choose will match your design style. Once you have found the perfect balance between function and form, your ultimate decision is with regards to your remodeling budget. Marble is a sure winner among countertops, but its cost may not fit all budgets. Granite is a close second, while concrete and wood offer much more budget friendly yet naturally handsome alternatives. Your home is one of the biggest investments a person ever makes. A professional remodeling contractor will not only help you get the most bang for your buck, but will also ensure you enjoy peace of mind throughout the remodeling process. Expert contractors will discuss your ideas with you in detail and offer the practical advice, design concepts and product solutions you may need. If you plan on remodeling your Cornelius home in the near future, Steve’s Home Improvement would be happy to offer you our professional services. We have a verified track record of successfully completing all sizes of remodeling jobs on time and within budget. If you need assistance at any point along the way we have the experience and the know how to point you in the right direction and make sure that you are satisfied. 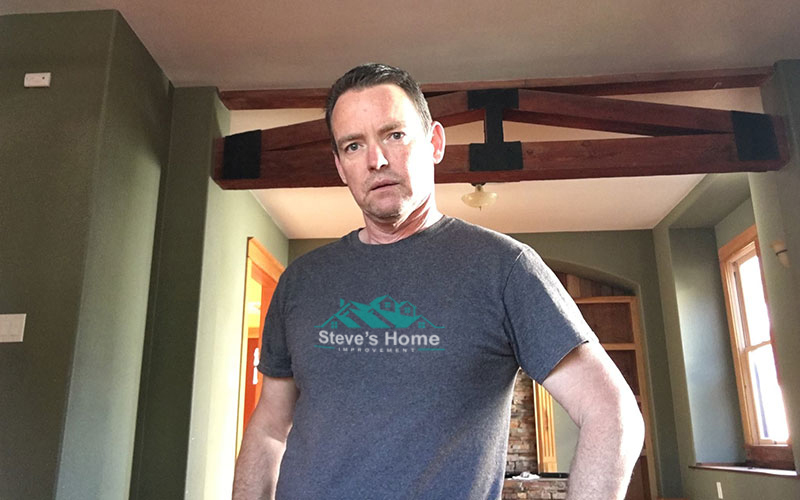 Contact Steve’s Home Improvement at (503) 342-8234 for all of your Cornelius home remodeling needs.